The maker of a hotly-anticipated new drug – fast-tracked by the FDA – which aims to help people with conditions that can cause severe hair loss has played down concerns that a patent dispute may delay its release. The drug in question – CTP-543 – is a new pill intended to be taken by adults with autoimmune alopecia and, as of January 2018, it had emerged as the likely front-runner in the race to bring a novel treatment option for these conditions to market. It is being developed by a company named Concert Pharmaceuticals which, like several other companies in America in particular, is trying to find a way to safely use JAK inhibitor drugs that were originally designed to treat everything from certain cancers to rheumatoid arthritis on diseases that cause severe alopecia areata. Concert is working on a variant of a JAK inhibitor known as ruxolitinib, which US pharmaceutical company Incyte sell under the brand name of Jakafi. According to recent news reports, however, a Concert petition challenging the validity of Incyte’s patent covering deuterated ruxolitinib analogs has been rejected by the United States Patent and Trademark Office’s Patent Trial and Appeal Board. Alopecia Totalis and Alopecia Universalis are extreme forms of the more widely-seen Alopecia Areata, an autoimmune disorder that is usually experienced as sudden, patchy shedding leading to rounded bald spots anywhere on the scalp. All three conditions have a number of suspected triggers, including extreme shock, physical trauma and psychological long-term chronic stress, and whilst steps to try and identify and alleviate these are taken during Alopecia Areata treatment, it is not always possible to do so. 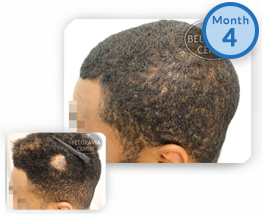 Treatment for the scalp-only phenotype – Alopecia Areata – which is the name of the mildest form of autoimmune hair loss as well as the name for the overarching group of autoimmune disorders that cause hair loss – already exists, and bespoke treatment programmes are tailored to suit the needs of each client. Belgravia’s hair loss experts have found that formulations of high-strength minoxidil from the range available at its in-clinic pharmacies are often effective when treating Alopecia Areata. Whilst this drug is only approved by the MHRA and the FDA as a treatment for androgenetic alopecia – male and female pattern baldness – it is widely understood to have an impact on other hair loss conditions, too. This approach can be further augmented by appropriate hair growth boosters. It is important to note that, is not recommended to use LLLT devices – which form part of the clinic’s range of booster products – on Alopecia Areata patients, however. Neither the treatment nor the booster products can be used on the baldness caused by Alopecia Totalis and Alopecia Universalis – hence the current race to bring an appropriate treatment to market. In fact, the recognition of the lack of current options is why the FDA actually granted fast-track status to Concert’s CTP-543 drug. With the many oral and topical JAK inhibitors currently in development, it is hoped that people experiencing the full range of autoimmune alopecia areata conditions will have access to safe and effective treatments for the first time within the coming years. Can Dupilumab Successfully Treat Alopecia Areata?